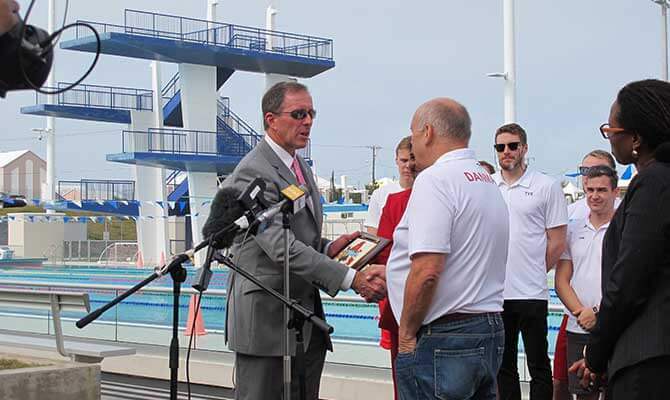 Hamilton, Bermuda (November 3, 2015) – The Danish National Swim Team has confirmed Bermuda for training this winter as it prepares for the 2016 summer Olympic Games in Rio de Janeiro. 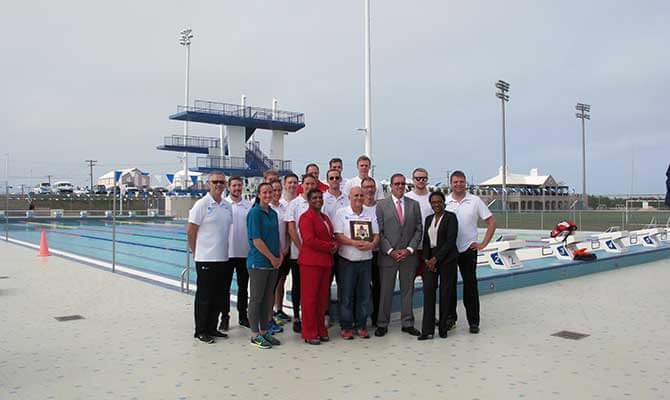 The team’s training camp in Bermuda was facilitated through a strategic partnership between the National Sports Centre (NSC) and the Bermuda Tourism Authority (BTA), which allows visiting teams to use the facilities at the National Sports Centre based upon the scope of the event and its impact on the island. In this case, the Danish team and coaching staff of about 20 men and women – including a world record-holder, an Olympic medallist and a world champion – will train in the NSC pool over a two-week period beginning in late January 2016. 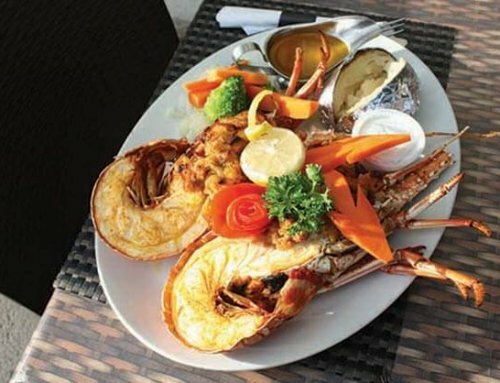 They will stay at CoCo Reef Hotel. Coach Juba says while in Bermuda they will be “dress-rehearsing” conditions in Rio including acclimatisation and race start times. 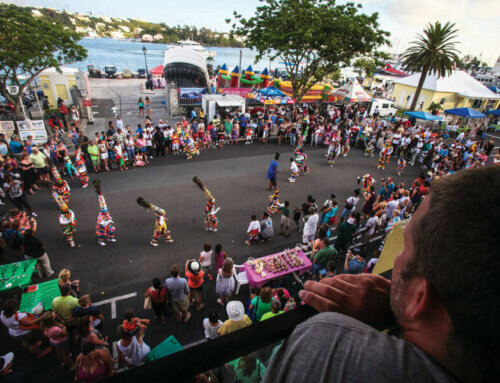 He’s especially interested in taking advantage of Bermuda’s time zone similarities to Rio’s. 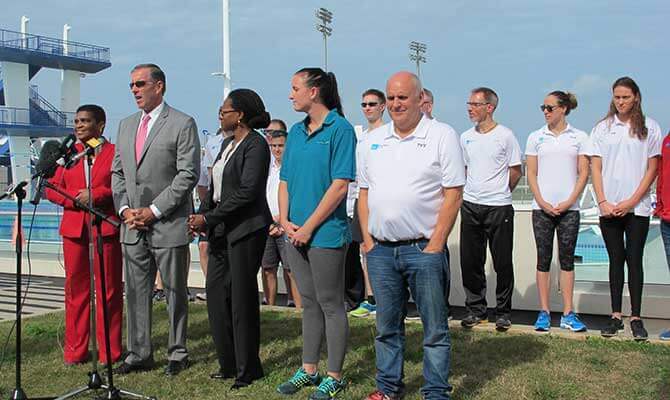 Members of the public with connections to international sports teams and associations that may consider training in Bermuda should explore the BTA’s Bring It Home Campaign. Visiting sports groups may be eligible for assistance in covering the cost of using NSC facilities.